Lema Press has introduced the all new 3D spot varnish and 3D Gold and Silver varnish. 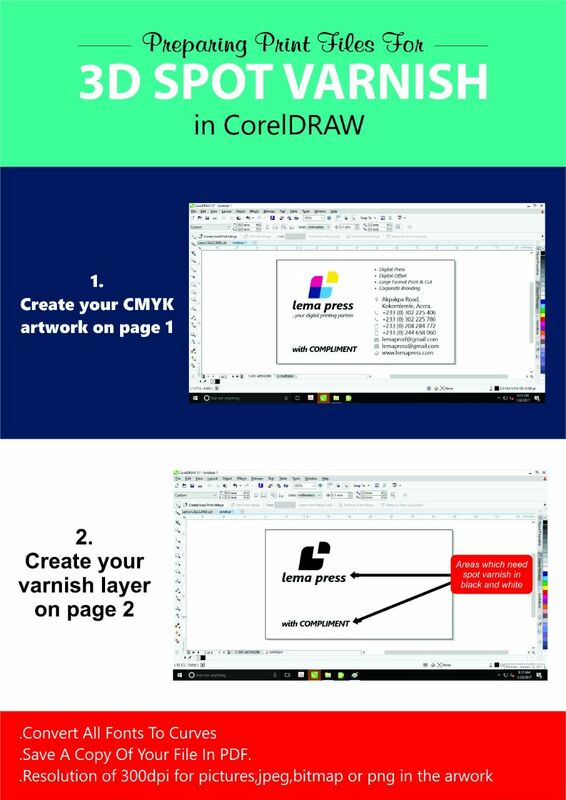 To enable you prepare your file for this print, kindly find attached a screenshot for assistance. 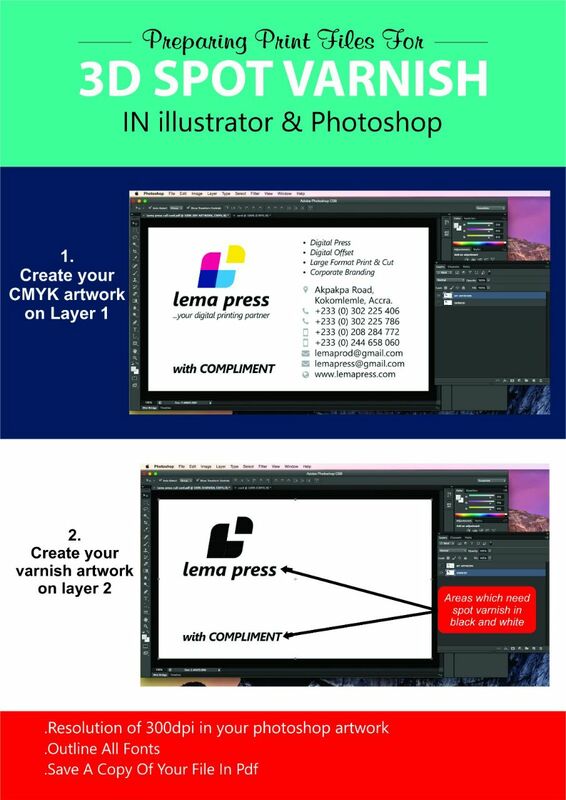 2 - HOW PREPARE THE 3D PRINTS ARTWORKS BEFORE SENDING THEM LEMA PRESS FOR PRINTING.